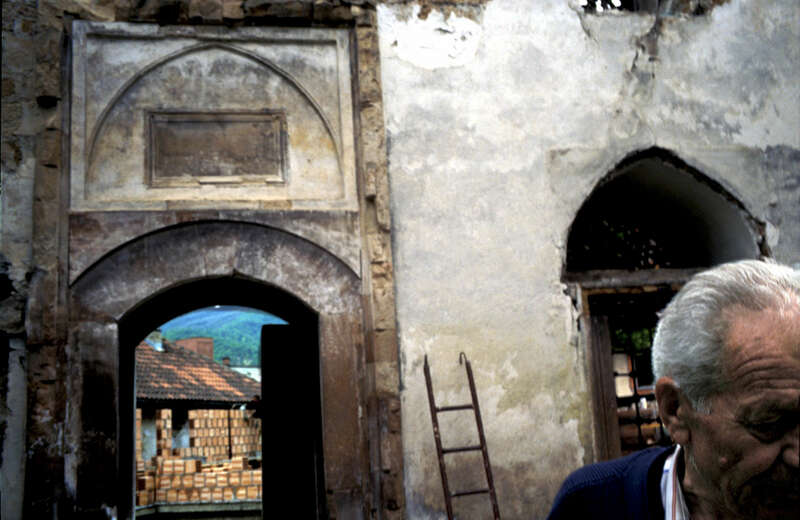 Aftermath: Bosnia's Long Road to Peace: Chapter Five: Faith and Betrayal: Rebuilding a mosque after \"ethnic cleansing\"
Rebuilding a mosque after \"ethnic cleansing\"
Workers rebuild a five-hundred-year-old mosque, one of a dozen that used to stand in the city of Foca. The other eleven mosques were completely destroyed by local Serbs when the war began in 1992 and Muslims were either killed or forced to leave. The contractor overseeing this project has hired a crew that includes both Serbs and Muslilms.